The Bundaberg region is situated approximately four hours drive and only a 45 minute flight north of Queensland’s capital, Brisbane. The region covers more than 6,000 square kilometres and boasts diverse natural resources and facilities, reflected in its offshore, coastal, riverine, city, rural and protected environments. The area lays claim to the internationally renowned Southern Great Barrier Reef, Mon Repos Turtle Rookery, Bundaberg Rum, and the famous aviator Bert Hinkler. Bundaberg City is the provincial hub of this vibrant, unique region, and is centred on the picturesque Burnett River at the southern tip of the Great Barrier Reef. It is the commercial and service centre, as well as distribution point for the region. The Bundaberg region’s notable features include equable climate, relaxed and inviting lifestyle, affordable living, modern shopping facilities, plentiful tourism destinations and diverse economic opportunities. Such factors, together with the friendliness of its residents, make this area a superb place to visit or reside in. Residents and visitors to the Bundaberg region have easy access to a wide variety of services and vital infrastructure. These include three major hospitals, public schools and colleges, and major campuses of CQUniversity and Institute of Technical and Further Education (TAFE). The city, serving a population of 100,000 people, is a vital regional business hub for Queensland, boasting excellent shopping, sporting, cultural and tourism facilities and has become a popular venue for the staging of conferences and major events. The city has an active business and professional community, who share their expertise and insight into building a strong and sustainable regional economy. Maryborough is located 254 km north of Brisbane on the Mary River. Maryborough is known as the ‘Heritage City’ and although it isn’t as grand as Queensland’s two premier ‘Heritage Cities’ – Rockhampton and Charters Towers – it actually predates them both by decades. The city can boast a large number of beautiful historic buildings and the original settlement site – now nothing more than a series of plaques – is a fascinating insight into the evolution of an importance centre. Today Maryborough is a city driven by the surrounding sugar, grazing and timber industries and catering for the hundreds of thousands of tourists who pass through on the journey north to Cairns. Maryborough is rich in elegant public, private and domestic buildings. The Maryborough Walk Tour lists and describes no fewer than 46 of these buildings. The City Hall is an impressive building which dominates the lower end of the main street. It was designed by Robin Dods of the Brisbane architectural firm, Hall & Dods, in a distinctive American Colonial style.This bank, formerly the Bank of New South Wales, was constructed in 1878. It is an unusual building with iron columns supporting the verandas which have iron lace balustrades upstairs and wrought iron downstairs. It is claimed that during the Gympie goldrush this bank, and the others in town, processed more than 4 million ounces of gold. Today it has an excellent display of local history. Hervey Bay is a bay and a city in the Fraser Coast Region of Queensland, Australia. The city is situated approximately 290 kilometres (180 mi) or 3½ hours’ highway drive north of the state capital, Brisbane. 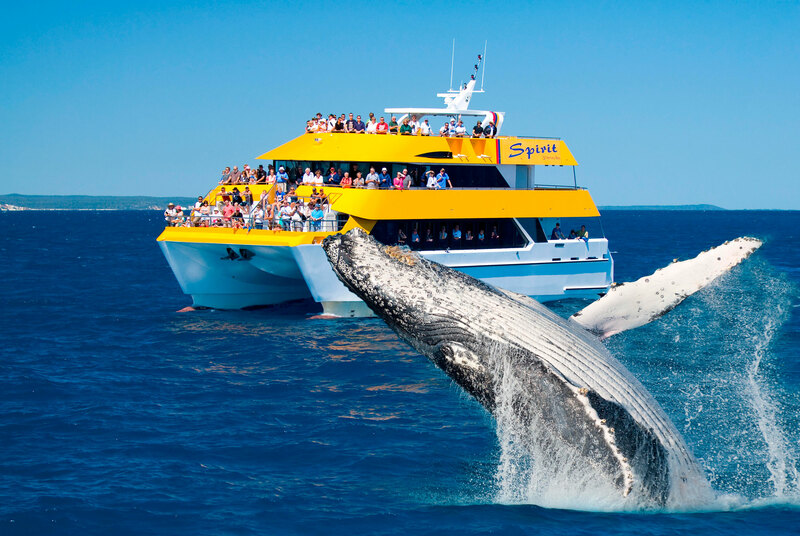 Hervey Bay is one of Queensland’s best natural holiday destinations offering the world’s closest whale watching encounters with humpback whales as well as easy access to World Heritage Listed Fraser Island; the world’s largest sand island and Lady Elliot Island; the first coral cay on World Heritage Listed Great Barrier Reef. Hervey Bay’s safe sheltered waters make it an aquatic paradise perfect for year round swimming, diving, sailing, water sports and fishing. Dotted along the Hervey Bay Esplanade are cosmopolitan and alfresco cafes, shops, parklands, picnic areas, playgrounds, piers and a vibrant marina. In perfect, stinger-free water enjoy kayaking, yachting, diving, water and jet skiing, wind surfing and snorkelling. Boating and fishing enthusiasts enjoy estuary, beach, jetty, reef and game fishing. Join a tour or charter your own vessel, yacht or houseboat. Enjoy a bicycle ride along the picturesque foreshore, visit places such as the Orchid House within the beautiful Botanical Gardens, the Marina area or one of the many restaurants and cafes situated along the Esplanade. Visitors to Hervey Bay can choose from a range of accommodation styles, catering for all tastes and budgets. Several of the accommodation houses, attractions and general facilities are also accessible for people with disabilities. Pialba is a suburb in Hervey Bay, Queensland located 294 kilometres (183 mi) north of Brisbane. It is the central business district of Hervey Bay. It was once serviced by the Hervey Bay railway line. It is the location of one of the transmitters for ABC Wide Bay. Pialba Memorial Cenotaph is a heritage-listed memorial at Freedom Park, Main Street, Pialba, Fraser Coast Region, Queensland, Australia. It was designed by Philip Oliver Ellard Hawkes and built from 1918 to 1921 by Frederick William Webb. It was added to the Queensland Heritage Register on 6 May 2016. It is also known as the Pialba War Memorial and the Hervey Bay War Memorial. The Pialba Memorial Cenotaph stand within a 0.82ha area known as Freedom Park, on the corner of Main Street and Charles Street in the suburb of Pialba, in Hervey Bay. The site is bounded by residential properties to the west and commercial premises with parking facilities to the south. The open park setting contains level grassed areas, mature shade trees, and various modern landscaping features and memorial structures. Only the cenotaph is considered to be of state heritage significance. The memorial hall is considered to be of local heritage significance.